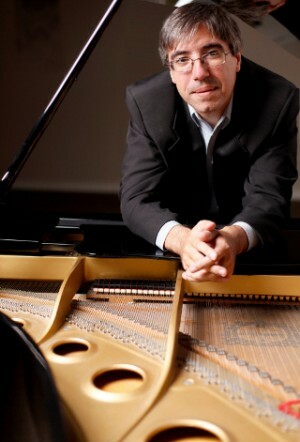 Pianist Avguste Antonov is a dedicated performer of 20th and 21st century American living composers, and has performed World and USA premieres at venues across North America. Over the years, he has worked with composers Carter Pann, Raina Murnak, Matthew Lewis, Till Meyn, Matthew Saunders, Robert Rollin, William Vollinger and others. Avguste Antonov has presented recitals in Bordeaux(France), Colorado, Kansas, Iowa, Missouri, Florida, Pennsylvania, Texas, Ohio, South Carolina, Tennessee and has been featured as soloist with many ensembles including the San Jose State University Wind Symphony, the San Jose Wind Symphony, the University City Symphony, the Alton Symphony Orchestra, the Tulsa Camerata and the Lakeland Community Orchestra. In addition to performing, Avguste Antonov is active as lecturer and adjudicator. He is a member of the International Academy of Performing Arts and Sciences and adjudicates yearly the ENKOR Piano & Chamber Music Competitions. He has presented lectures and/or adjudicated for Carrollton Music Teachers Association, Frisco Music Teachers Association, Kansas Music Teachers Association, Oklahoma Music Teachers Association and Wisconsin Music Teachers Association. Previous seasons highlights include a recital at the Bulgarian Ambassador Residence in Washington, DC, the performance of Carter Pann "Concerto Logic" with the San Jose State University Wind Ensemble, a live performance for the Kansas Public Radio and the world premiere of Matthew Saunders "Piano Concerto" with the University City Symphony (University City, MO). The 2016-2017 season will see Avguste Antonov performing and presenting lectures at venues across the United States including Alabama, California, Missouri, Illinois, Ohio and Texas.